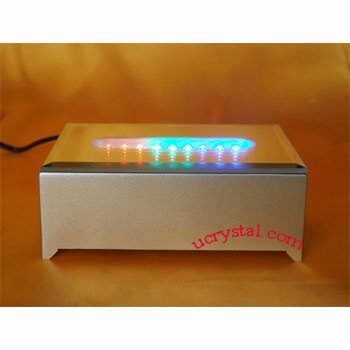 Every 3D photo crystal and personalized photo crystal gift at Ucrystal looks better on a LED light base stand! 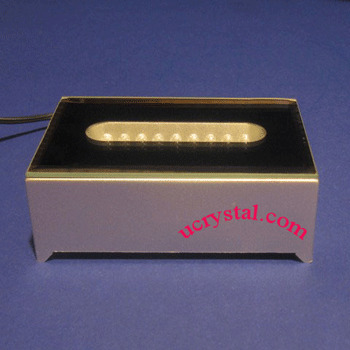 This rectangle led light base will enhance the look of your 3D photo crystal, through which image contrast enhancement can be achieved. 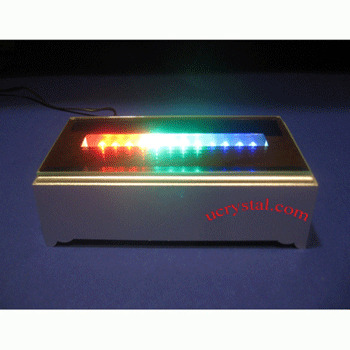 Our LED light display stands come in either white color or multi-color. 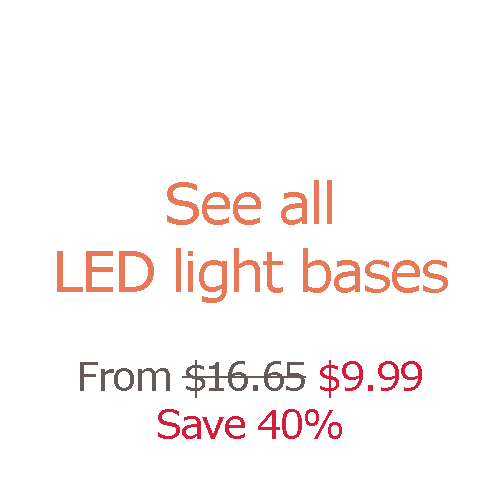 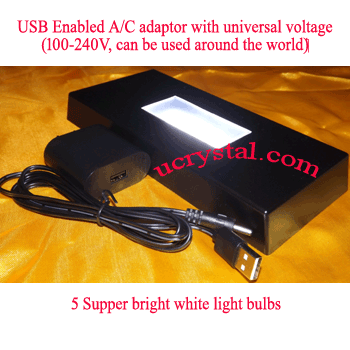 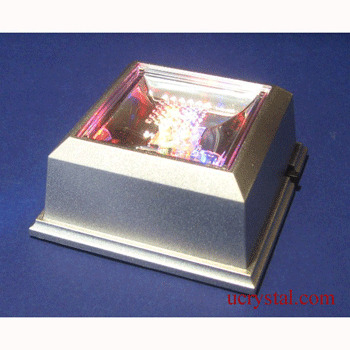 These white color crystal light bases deliver constant light intensity. 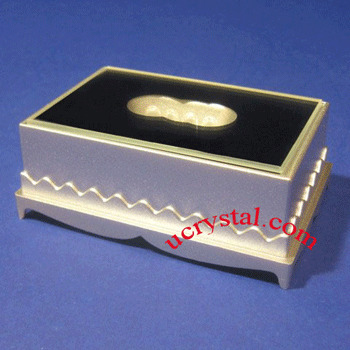 There are varieties of light base shapes and styles available at ucrystal. 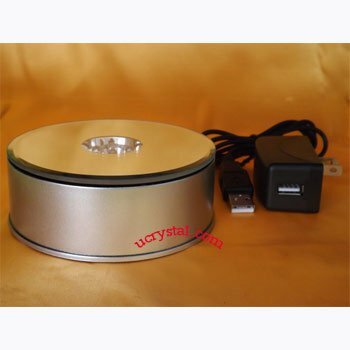 We have rectangle led light base, square led light base and rotary turntable led light base to meet customer’s different tastes. 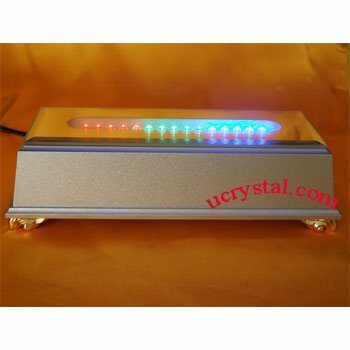 The LED light bases can also be used as led light stand for crystal glass art, lighted base for glass sculpture and many other enjoyments. 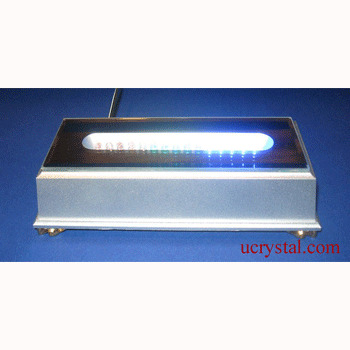 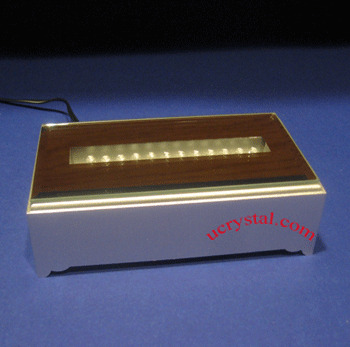 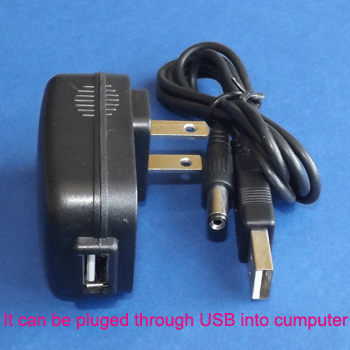 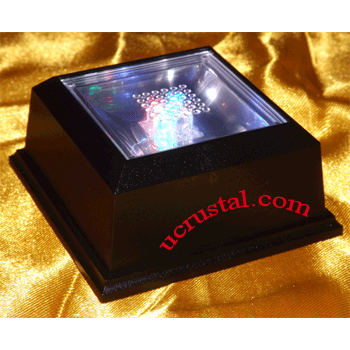 Light base with 12 white-color LEDs for 3D or 2D laser engraved photo crystals.